One of the primary determinants of a business’s success is its cash flow status. Without cash flow, the life blood of an operation dries up and the company will invariably shutter. Broadly speaking, cash flow is the money that moves through a business, affecting overall liquidity levels. Cash flow comes from clients, customers, banks and debtors on the one end, and flows out of the business to creditors, suppliers and banks on the other end. This system of receipts and payments is vital to a company’s liquidity. Without cash flow, a company is unable to grease the proverbial wheels of its operations. There are two ways to define cash flow – positive cash flow and negative cash flow. These pertain to more money coming in, or more money going out of your business. According to the SBA (Small Business Administration), startup failure is largely attributed to inadequate cash reserves. Nothing shuts down a business’s operations quicker than inadequate or negative cash flow. This begs the question: Why so much emphasis on cash flow vis-à-vis Forex transactions? For starters, many SMEs (Small and Medium Enterprises) conduct business on a multinational level. Their operations are not limited to companies and clients regionally, or domestically – they span the globe. Whenever international monetary transfers are conducted, one currency is exchanged for another to complete the transaction. This is especially true of multinational conglomerates seeking to invest in operations abroad. Consider the case of Company A in the USA looking to purchase a warehouse abroad in the United Kingdom. In this example, the cost of small warehouse facilities may be £500,000 in Kent, United Kingdom. At prevailing exchange rates (GBP/USD at 1.32) that is worth approximately $660,000. Depending on how Company A wishes to finance this transaction – through cash or credit – the exchange rate is critically important. Several questions need to be answered. For starters, should Company A wait for a more favourable exchange rate, make instalment payments on the purchase, pay it in full, or take out a line of credit for the business transaction? These are pertinent questions since small fluctuations in exchange rates can seriously impact cash flow. Let’s assume that the GBP/USD pair appreciates to 1.34 given that Bank of England Governor Mark Carney is intending to raise the bank rate by 25-basis points. If this happens, the £500,000 warehouse will now cost $670,000. The SMEs inability to act decisively before the rate hike was implemented cost the company $10,000. Exchange rates can also move in the opposite direction. For example, if the USD strengthens as a result of a Fed FOMC rate hike on December 13, 2017, the GBP/USD pair could depreciate to 1.30. In that case, the £500,000 warehouse in the United Kingdom would cost the US company $650,000. This would improve the cash flow situation by $10,000. Exchange rate differentials have a powerful impact on cost structures. Businesses can derive tremendous benefit from locking in favourable rates with a wide range of Forex-related trading tools and strategies such as contracts for difference, options and forward contracts. The currency markets are driven by sentiment more than they are by fundamentals. When concerns mount, currency traders take decisions that have a significant impact on overall economic activity. Geopolitical concerns such as the situation in North Korea, Middle East oil prices, global terrorism, or international trade agreements can significantly alter the balance. The cost to corporations is far greater when large transactions are concluded. Multimillion dollar deals are heavily impacted by even the smallest price movements between currencies. That’s why it is imperative to avoid these unfavourable currency movements by a locking in the right rates. Winners and losers in international currency transfers are determined by factors largely outside of their control. However, it is possible to mitigate risky elements by implementing certain controls such as effective money transfer mechanisms designed to ‘stabilize’ transactions with a series of hedging tools. These include forward transactions, limit orders, stop loss orders, flexible settlement orders for hedging, option structures, call options, put options, and others. Each of these hedging mechanisms has its merits and its pitfalls. It’s important to understand that volatility has a direct impact on business activity vis-à-vis budgets. That’s why careful planning and preparation is essential to safeguard against these movements. The hedging 101 guide is an effective way to guard against market volatility. Banks and financial institutions typically levy high costs on foreign currency transfers, with fees, commissions and hidden charges along the way. Non-bank entities like World First, Currencies Direct and MoneyCorp offer a range of services designed to minimize or eliminate fees on global transactions, with dedicated dealers and a wide range of supported currencies. Additionally, these non-bank entities are designed to save companies significant amounts of money by eliminating the unnecessary waiting periods, regulatory compliance procedures, and paperwork requirements. If money makes the world go around, and it does, it’s important to cap unnecessary expenditure by limiting wasteful transactions fees, and price volatility. Forward contracts have won critical acclaim among businesses and traders as ways to lock in exchange rates, mitigate losses and stabilize a transaction. For example, you could go short (sell) on the cable (GBP/USD pair) by selling a call option and purchasing a put option with a similar maturity date, and strike rate of the same value. By giving up gains to decrease losses, you can protect yourself on the currency markets. 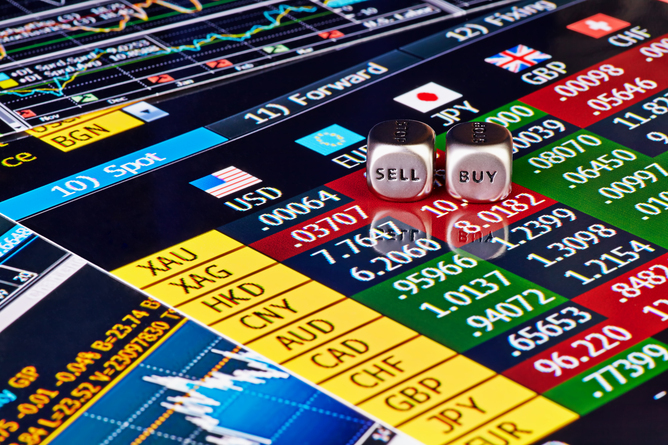 Forward transactions are the most basic hedging tool available to currency traders today. Most money exchange companies allow traders to conclude forward contracts. It is possible to purchase a £500,000 forward contract at a rate of 1.32, and this would lock in a favourable exchange rate for your company which is seeking to purchase warehousing facilities in the UK. Instead of worrying about GBP appreciation which would make it relatively more expensive for you to transact, you can safeguard your investment with a forward transaction. It is unclear whether the prevailing exchange rate – the spot rate – will be more or less favourable than the rate that you lock in with the forward contract. Either way, you are assured of a fixed rate which is precisely how efficiency in operations is best managed. CFDs (contracts for difference) function along a similar line, and these are great mechanisms for hedging in your business.